Along a hiking trail from Chur to the Rhine river you enjoy a 3-course menu in 3 different restaurants. The tour begins at the train station in Chur and soon follows the Plessur stream to the Obere Au (first course). 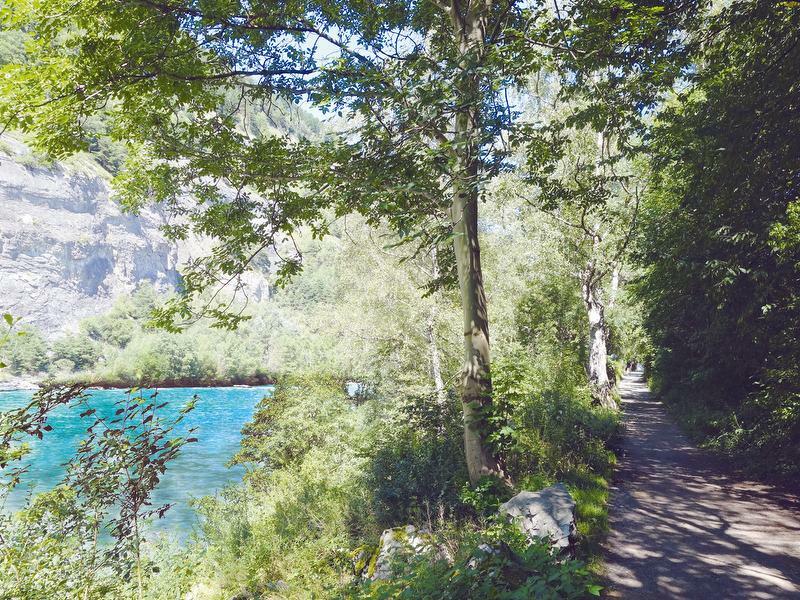 Along the tree-covered riverside of the Rhine, you walk at the foot of the impressive Calanda mountain until you reach the campsite restaurant (main course). On the way back into the city, you will meet the small stream of the Mühlebach. After a delicious dessert stop at the Merz Wiesental you pass by the 1'200 m2 large sculpture park at the Forum Würth, before you get back to the train station.